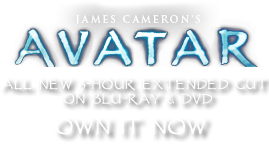 Children's Songs | Pandorapedia: The Official Guide to Pandora | Own AVATAR on Blu-ray & DVD Now! Sign in with Facebook Connect to make and read comments. As soon as they are able, Na'vi children begin to learn the skills they will need to survive as adults. Many of those skills are taught to them using simplified versions of adult social songs. In many cases, play games with song, chant, or rhythmic accompaniment teach actual skills like hunting, riding, fire-making, weaving, and food preparation. One of the most important rhythmic practices that children must learn are the warning rhythms played on the warning drum. Many of the songs deal with the plant and animal life of their world. Through these, children learn the ecology of their world: which creatures are friendly and which are not, what things to eat and what to avoid, and the need to respect for all living things. Other songs, sung by parents and children during quiet family time, teach the mythology and history of the Na’vi as well as the close connection between the Na’vi and their world. Musical skills are not taught, but are picked up by children through practice and imitation of adults. On their own, children will imitate adult musical styles but will make up their own lyrics, usually teasing other children or bragging about themselves.